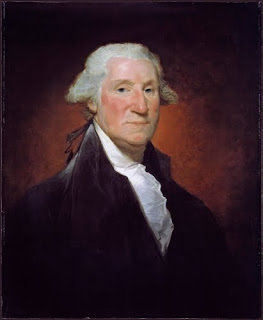 Inspiring Art Teachers to Explore Art History | Curator’s Corner: And This Is a Portrait of Whom? I don’t often laugh about art history (seriously! ), but now and then one just can’t help it. With this group of “portraits,” I had to keep in mind that: A) the people who bought these prints did not have TVs or computers to check the accuracy of the likeness against news reports; and B) many of the artists of these prints were self-trained and making copies of copies of copies of painted or print portraits of the sitter. Either way, the following are not what we are accustomed to accepting as a likeness of our first president. 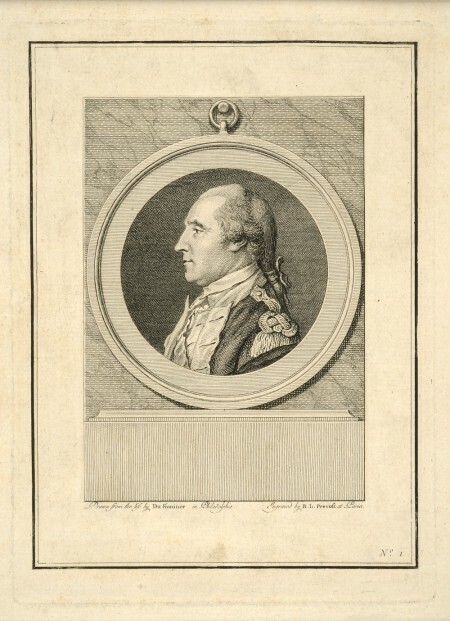 Likenesses of the first president were in great demand during the early republic, as can well be imagined. Unfortunately, there were no photographs to guide many of the artists. 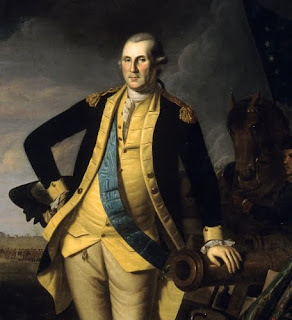 Aside from the fact that the Father of our Country has no neck in the print above, I’m at a loss to find a source for this pose from any painted portraits of Washington. The closest thing (and that’s stretching it) is the portrait Peale did (several times) of Washington at the Battle of Princeton (below). Maybe this is retribution for us beating them? 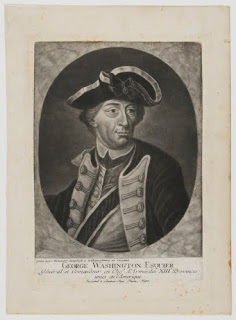 I know before the Revolution he aspired to be an officer in the British army. Is that why he’s wearing a British uniform in this print? At least the previous example got the baldric correct from the right shoulder. I honestly can’t find any source for this depiction. I’m guessing it is based on a print of some German or French monarch on the battlefield. By the way, “Esquier” is not French for esquire (that would be écuyer). 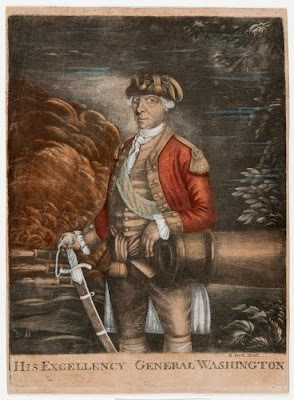 Doolittle, born in Cheshire, Connecticut, was a self-taught copper engraver. He is perhaps most famous for his prints of the Battles of Lexington and Concord, for which he interviewed witnesses. They are considered the most accurate depictions of what happened on that day. 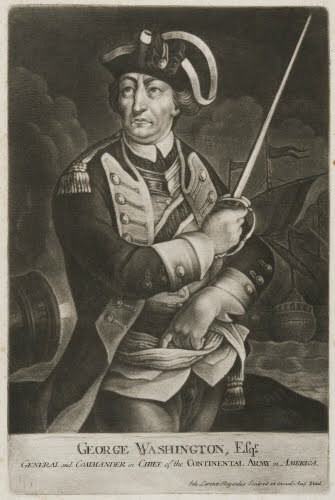 I’m afraid that Washington’s oblong head betrays Doolittle’s lack of anatomical study in his ode to the new country. I’m thinking this may be based on a print by the Swiss artist Pierre Eugène du Simitère (1737–1784). View that work in the Princeton University collection to see if you agree! This artist was a member of a family of engravers who provided print copies of oil paintings of the rich and famous. The only other works I can find similar to this are of German royalty. Aside from the fact that Washington’s nose looks like a ski slope, the setting almost looks like he was a naval hero. It is so interesting that in many of these works they call him “esquire,” which was an honorific for people just shy of noble title. 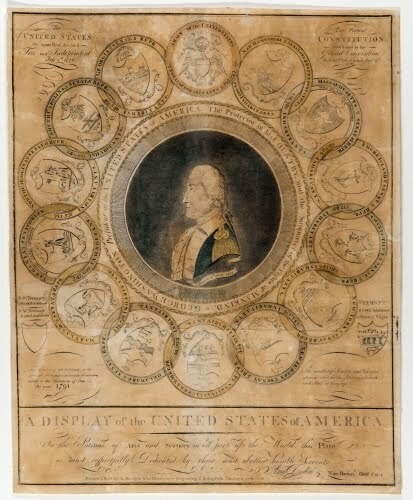 If this print is “sacred to the memory of” Washington, then it would be after his death in 1799, correct? I am surmising that this is a combination of president-warrior executed after his death. It contains the head of the older president period—rather like the copy of Gilbert Stuart on dollar bills—and his army trappings from the Revolution. The “F. Bartoli” who is credited with a painting of this subject is fictitious, according to the Philadelphia Museum of Art. 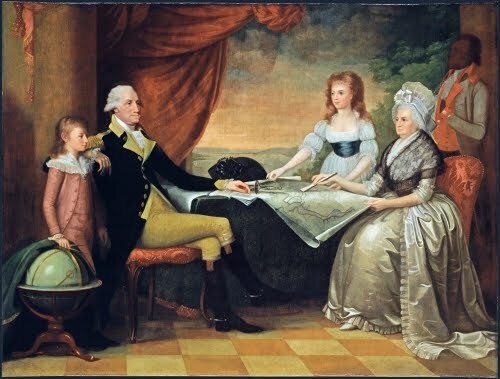 I stuck this in because I wanted to show you how the first family really looked by an artist who studied them personally. Savage not only did individual portraits of them, but also this regal family get together. They’re looking over the plans for the new Federal City. I think Martha is supposed to be pointing to the spot for the executive mansion. 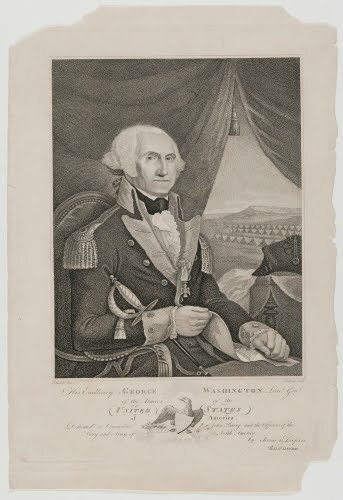 Savage made sketches from the First Family while they were in New York (our first capital). He subsequently waited until 1796 to paint this imagined group setting from the individual studies of each person. He then had produced hand-colored and uncolored engravings of the print, garnering an immediate 331 subscriptions for the print in 1798.